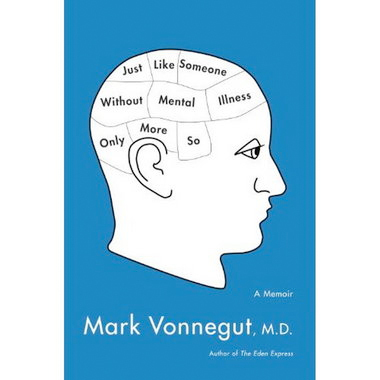 “Just Like Someone Without Mental Illness Only More So,” Mark Vonnegut’s new book takes up where his first memoir, “The Eden Express” left off. Here are more adventures in living with a mental disability while working as a pediatrician and serving on Harvard Medical School’s admissions committee. Mark Vonnegut had a mental breakdown as a young adult. He survived and went on to become a doctor, but his mental illness didn’t stop there. We talk about his subsequent breakdowns, his critique of managed care medicine and hear a few funny stories. The treatment of people with mental disabilities in the U.S. is both tragic and unnecessary. Listen here to a man with an incredible life story, someone who mingles with the rich and powerful but understands enough about life on the bottom to point out the greed and inequity. Shelley Berman, Marissa Shaw, Adrienne Lauby and Leah Gardner quiz the good doctor as we encourage you to become members of KPFA. This entry was posted in Activism, Adrienne Lauby, Education, Health Insurance Reform, Leah Gardner, Marissa Shaw, Mental Disability, Shelley Berman, Uncategorized and tagged East of Eden, Harvard, Just Like Someone Without Mental Illness Only More So, Mark Vonnegut. Bookmark the permalink.